Aerate: The purpose of aeration is to break up soil compaction. Doing so allows for the circulation of water, air, and nutrients throughout the soil. Aeration should be done every 1-3 years to keep grass from drying out. If you have cool season grass, it is best to aerate your lawn in the fall. For warm season grass, aeration should be performed in the late spring. Rake: When you aerate your yard, you should also rake it to remove thatch that has accumulated. Thatch consists of decaying plant material that has built up on top of the grass. Removing thatch in the autumn or spring allows your lawn to grow more quickly and prevents soil from getting compacted. Fertilize: You should fertilize your lawn during its peak growing season. For cool season grass, this period falls in the early spring and the early fall. If you have warm season grass, fertilize it in the spring and late summer. For best results, cut back on fertilizing approximately a month before the highest summer temperatures occur. Water: For optimal grass, you should provide your lawn with about an inch of water per week during peak growing seasons. In order to build deep roots that will help your grass to make it through the hot summer, long irrigation sessions are preferable to short ones. In addition, you should water your grass in the morning or at night for best results. Mow: Mowing your lawn often in the springtime facilitates root growth. Just keep in mind that you should never take off more than one-third of the grass height when you mow. Also, you should keep the grass longer in the summertime to shade the soil from the sun. If you’re too busy to do all of this work yourself, don’t worry! 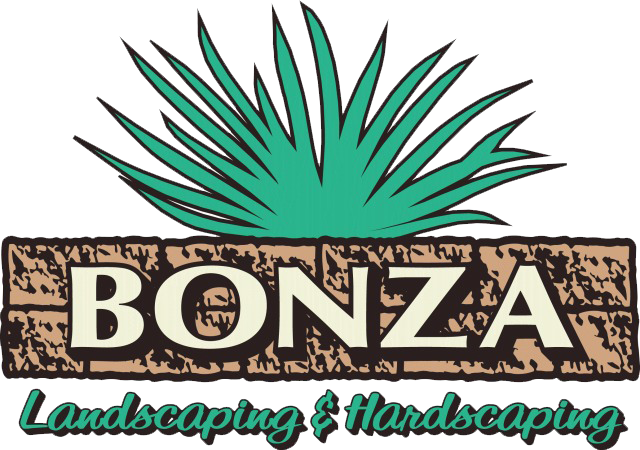 Bonza Landscaping & Hardscaping will be happy to do it for you. We’ll keep your lawn looking healthy and green throughout the warm months and all year round. After doing a thorough inspection of your landscape, we’ll consult with you to develop a schedule for your lawn care. After that, we’ll take care of everything: trimming, weeding, mulching, mowing, and more. If you’d like to learn more about our property maintenance services, give us a call at 610-277-2022, or visit our Facebook today!